Today Mike and I pooped along to the freebie Friday event at Holy family school to have a catch up with Dawn and see some of the local parents. We took with us some veg bags for them to take home and we asked the parents what would they cook with the bags of veg. We had a couple of different answers some said the would make a scouse , some said the would make a soup and some said that they would make a hot pot. 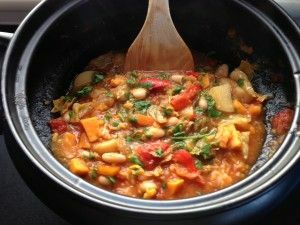 When we got back to the office we had a bit of a brain wave and we decided that it would be nice to give the parents who do attend the freebie Friday a slow cooker so that they are able to eat a healthy food as well as save on their energy bills. We will keep you posted and send some pics when the parents have received the cookers.